Gracious home in golf community! 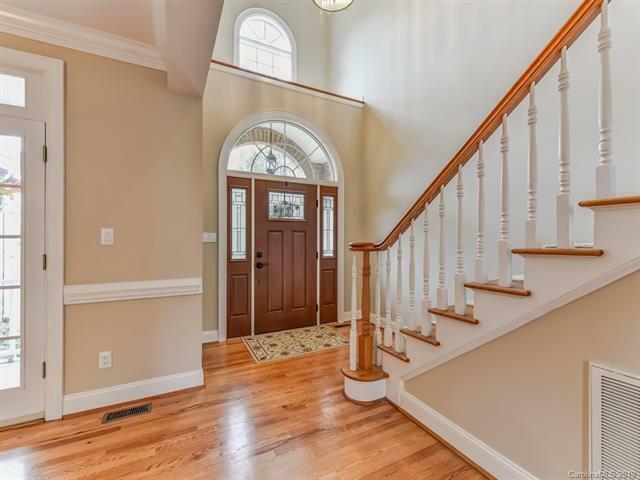 Lovely hardwood floors on the main and crown molding in almost every room! Gorgeous kitchen w/full custom cabinets, back splash, glass doors, island & desk. Built-in oven & microwave, glass cook top, SS appliances. Vaulted great room w/built-in cabinets, gas fireplace & arched windows. 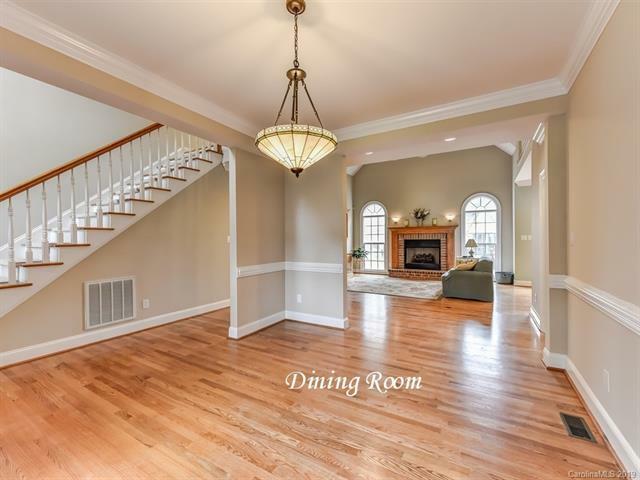 Dining room is generous size w/French doors leading to front porch. Rare Main Floor master bedroom w/new oak hardwood floors, deep tray ceiling & crown. Master bathroom has jetted tub & sep shower. Dual sinks w/matching mirrors & lights. The crowning jewel of the master suite is the closet room, fitted w/cabinets to please the most devoted fashionista & also a 2nd closet in Master! There is a 2nd bedroom w/attached full bath on the main level. Upstairs are 2 bedrooms, 2 full bathrooms, bonus room & loft! Outside is a deck w/gazebo, landscaped front & backyard w/irrigation. Come Spring you wont want to miss enjoying all the blooms & the privacy in your wooded backyard! 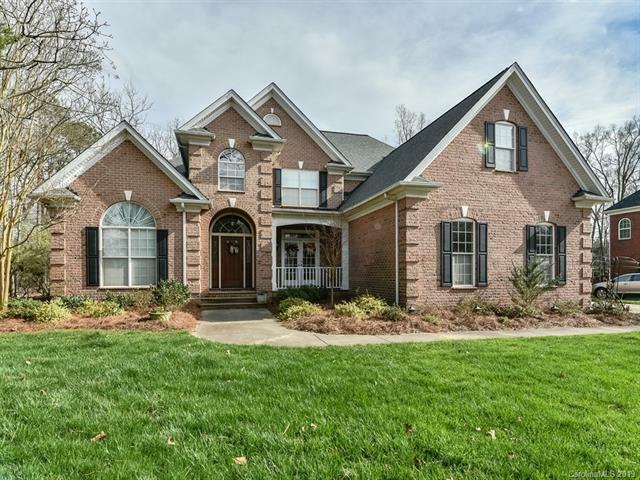 Offered by Keller Williams Ballantyne Area. Copyright 2019 Carolina Multiple Listing Services. All rights reserved. The data relating to real estate on this Web site derive in part from the Carolina Multiple Listing Services, Inc. IDX program. Brokers make an effort to deliver accurate information, but buyers should independently verify any information on which they will rely in a transaction. All properties are subject to prior sale, change or withdrawal. Neither Carlyle Properties nor any listing broker shall be responsible for any typographical errors, misinformation, or misprints, and they shall be held totally harmless from any damages arising from reliance upon this data. This data is provided exclusively for consumers' personal, non-commercial use and may not be used for any purpose other than to identify prospective properties they may be interested in purchasing. © 2019 Carolina Multiple Listing Services, Inc. Data last updated 2019-04-23T20:58:42.063. Carlyle Properties is Lake Norman and Charlotte's most innovative real estate team.